In addition to being a solemn religious ceremony, the bar mitzvah is also an occasion for great celebration, and bar mitzvah party favors are just one of many essential party planning details. Treat filled favor box - You can order this custom-imprinted favor box with everything from animal crackers to jelly beans to chocolate truffles. Personalized guitar picks - A unique small favor to hand out to party guests, it's especially suitable for music fans. Light-up party cups - These illuminated cups are fun to use during the party and are a great take-home gift for guests that will be sure to get a lot of use. Mini football - Sports fan will enjoy this soft plastic football imprinted with your name and date. Microbead pillow - Give your guests the gift of comfort with a soft and squishy pillow they can use while relaxing at home. There are 43 pre-designed themes, from "Grand Slam" to "Walk of Fame." With these options, you're sure to find a design that fits the personality and interests of the guest of honor. The company allows orders of as few as 12 pieces, so you can order just enough favors for your party. 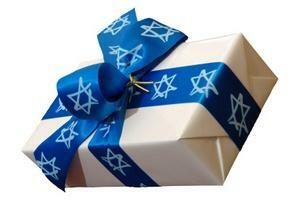 Bar Mitzvah party favors can be a fun part of the celebration. However, just because you can order every guest a custom-imprinted hoodie doesn't mean that you have to or even that you should. Some bar mitzvahs rival wedding receptions in terms of expense and extravagance. Just as with Sweet 16 parties and quinceanera's, families try to outdo each other to host the biggest event of the year. Creating a budget and sticking to it will help keep any single detail from becoming an overwhelming expense. Making your own party favors can help cut costs. For instance, if you like the idea of personalized candy bars, you can enjoy the same effect by creating your own labels with a color printer and taping them around candy bars purchased from the grocery store. Why pay a premium to have a company fill a container with candy when you can buy mints or chocolate in bulk and make your own treat bags, cups, or boxes? Print small tags with the name of the bar mitzvah and attach them to the container with glue or tie them on with ribbons. You can use the online catalogs of specialty vendors such as It's My Mitzvah as inspiration for unique pieces to share with your guests without ever placing an order. Shop around before committing to a company. For instance, a local screen printer or embroidery shop may be able to offer you a better deal on custom shirts or tote bags. Companies offering promotional products for businesses are also a good source of items that can be imprinted with the details of your bar mitzvah. Garrett Specialties, Empire Promos and ePromos are just a few of the options. In fact, their selection is often larger with a wider range of products to fit varying budgets, from pens to custom toys. Whether you choose food, clothing, or novelties, the best bar mitzvah party favors are those that will help guests remember the special event.